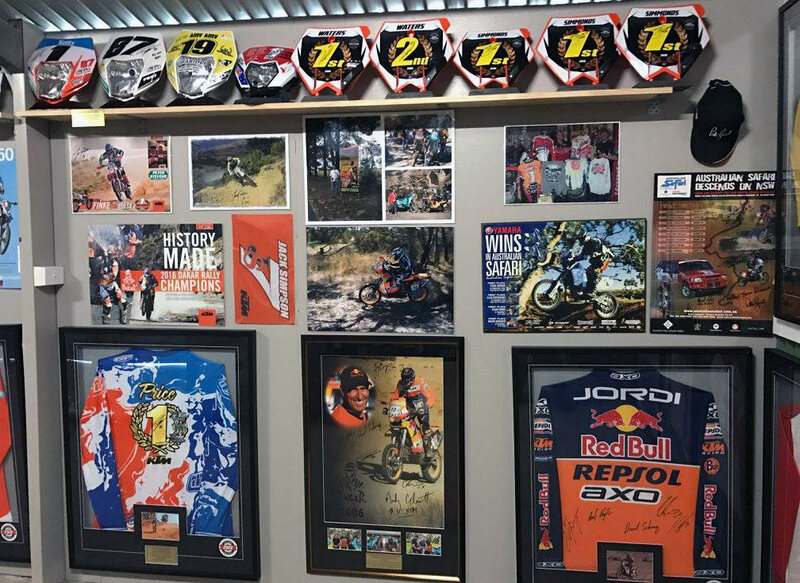 Saturday December 3 was an important day in the history of Australian Motorcycling, when industry mainstay, philanthropist and legend Rosco Holden, opened the brand new Motocross, Enduro & Dakar Museum in Horsham, Victoria, as well as announcing the ‘Holden on Tight Australian Junior Sportsman Spirit Award’ for the Australian Junior Titles for 2017 and beyond. Motorcycling Australia caught up with Rosco Holden for a brief chat about how his idea for the Museum and the ‘Holden on Tight Australian Junior Spirt Award’ came about. 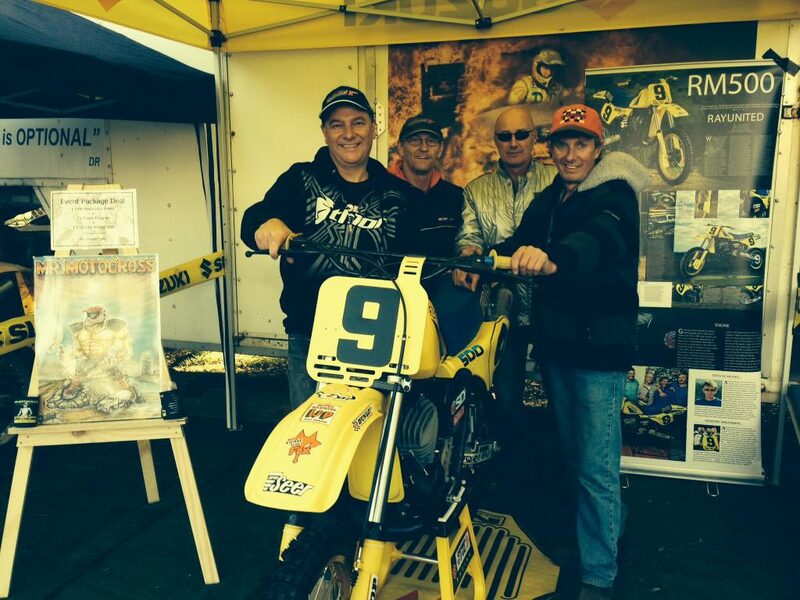 “It’s about giving everyone the opportunity to come and enjoy the displays of MX, Off-Road and Dakar memorabilia. 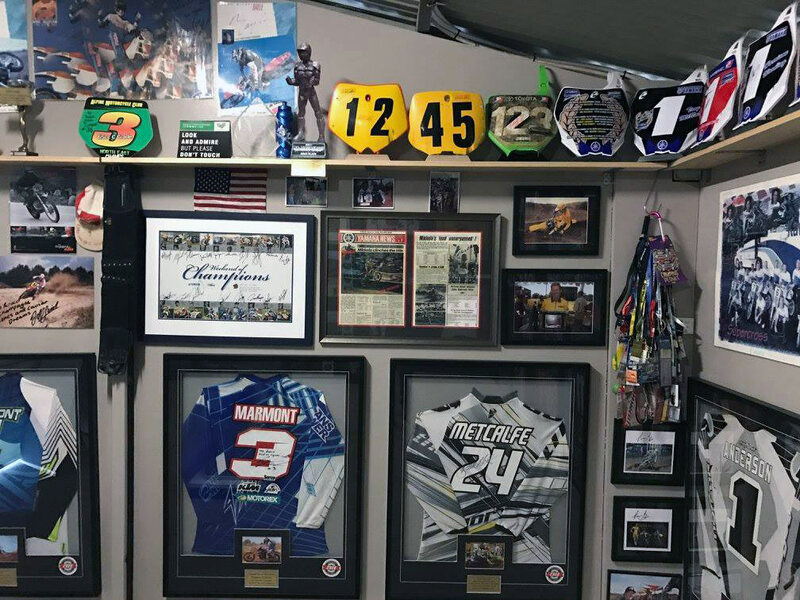 It’s my personal collection, that I have been fortunate to accumulate over a long period of time, preserving our proud dirt history is paramount! 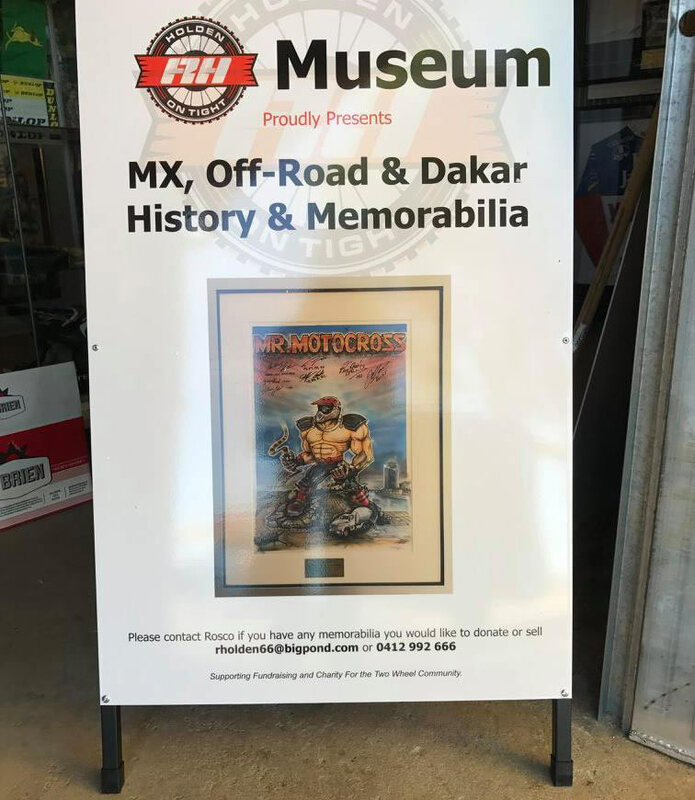 “Display’s such as this are long overdue, as there is nothing specific in terms of similar museums that are dedicated to Off-Road, which is crazy given how popular dirt riding is in this country! 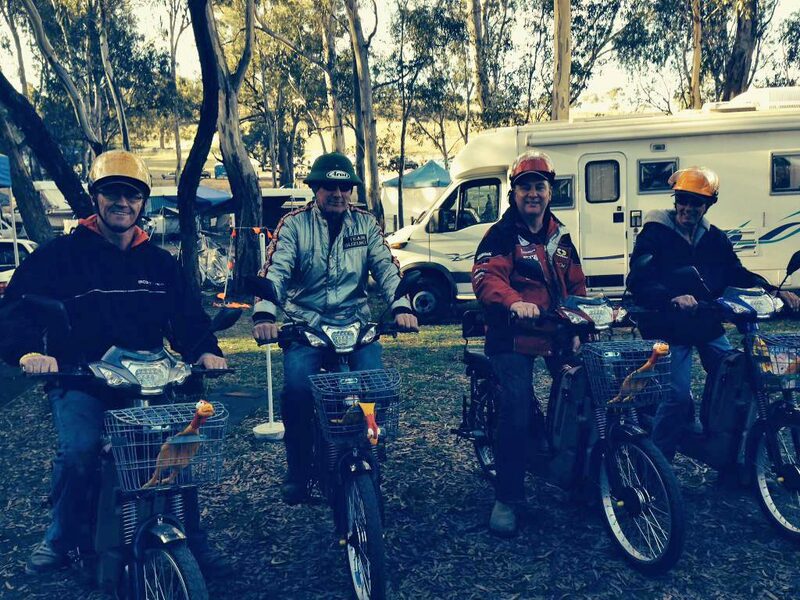 “I have made a minimum two-year commitment to the awesome Horsham Motorcycle Club. Its something I totally believe in and is my small way of giving back Horsham Motorcycling Club. Through hard work, the club has secured Round 4 of the 2017 MX Nationals, 2017 Australian Junior MX Championships’ and the 2018 World Junior Championships’. “I’ve always had the idea for the museum in the back of my mind and was always going to head down this path of wanting to make sure that we are looking after our past. “Unfortunately, many old motorcycles and tonnes of irreplaceable memorabilia was thrown out back in the day, or simply deteriorated over time. “It is all those old memories, and artefacts that you simply can’t buy or see on display anymore. I know that there are a lot people who have original items, that might be just in a box or cupboard, that I’m sure some will be now willing to donate, knowing it will have a safe home for all to enjoy. Never one to let an opportunity pass him by, Rosco Holden, founder of the benevolent ‘Holden On Tight’ organisation, has also generously created a brand new award for Junior riders. Dubbed aptly, the “Holden On Tight Australian Junior Sportsman Spirit Award”, announced in unison at the MX, Enduro & Dakar Museum opening. Holden explains the thought process behind the exciting new award. “It’s just something I’ve thought of for a while now, with everything in this modern era being centred on winning it’s nice to have an award that goes beyond the scope of just winning awards on a points based system. I’ve always been about supporting the kids and this sport, the ‘Holden on Tight Australian Junior Sportsman Spirit Award’ is designed to promote sportsmanship and humility within it. “We are really leaving this award open for any junior rider that has achieved something special or committed an act of random sportsmanship/humility during the week. The award will be given to any Junior rider from the ages of 6-15, from any class, who demonstrates true spirit. The award by nature is circumstantial, you never will be able to predict what act of ‘spirit’ will be shown on any given day. Recipients of the Australian Junior Sportsman Spirit Award will score a beautifully crafted award, a very generous $200 ‘Holden on Tight’ branded OGIO gift pack from Lusty Industries, plus the great satisfaction and acknowledgement that will go with it! With the matched industry support, total prize money is over $30,000. 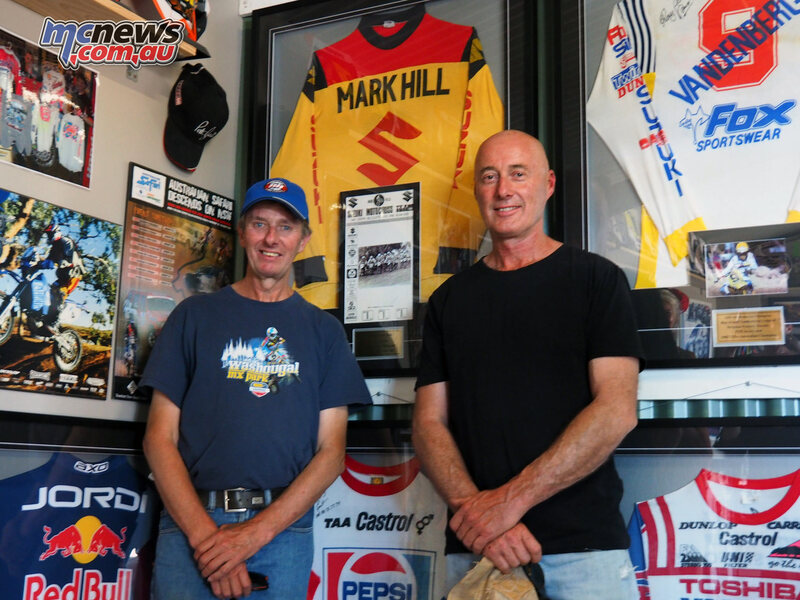 Attending the grand opening of the Museum on December 3rd 2016, were notable guests from the sport and industry, travelling long distances from around the country to be at the opening at Horsham Motorcycle Club, Horsham, Victoria. In support of the museum was Tracey Caldecott , wife of the late great Andy Caldecott (RIP), 1980’s Factory Suzuki Australia rider Mark Hill, Davey’s Motorsport Team Owner Whitey Davey and wife, Michelle. A special mention must be made to Club President, Kenny Watts and Secretary, Laurie Pearson. The opening was directly at the conclusion of the Final Club Championship race at the Horsham Motorcycle Club on Saturday December 3, 2016. 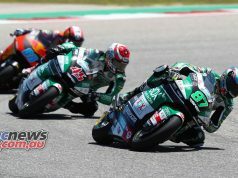 Click here to visit the Horsham Motorcycle Club webste.